Psychodynamic psychotherapy arose in reaction to hierarchical, doctor-patient aspects of Freudian psychoanalysis. It emphasizes instead the partnership between therapist and client, and a conscious focus on the power dynamics involved in this inherently unequal relationship. In this book, Joan E. Sarnat describes a relational approach to clinical supervision that is based upon this therapeutic approach. While some clinicians treat the supervisory relationship as entirely distinct from therapy, Sarnat presents a straightforward and ethical framework within which a supervisor uses his or her clinical skills to help supervisees navigate their responses to their work with clients. Clear, concise chapters cover the theoretical and empirical basis for a relational model of supervision, and offer specific recommendations for addressing typical problems related by beginning, intermediate, and advanced supervisees. These include challenges associated with racial and ethnic differences as well as legal and ethical issues that occasionally arise in supervision. Practical matters including documentation, and the format and timing of evaluations, are discussed. 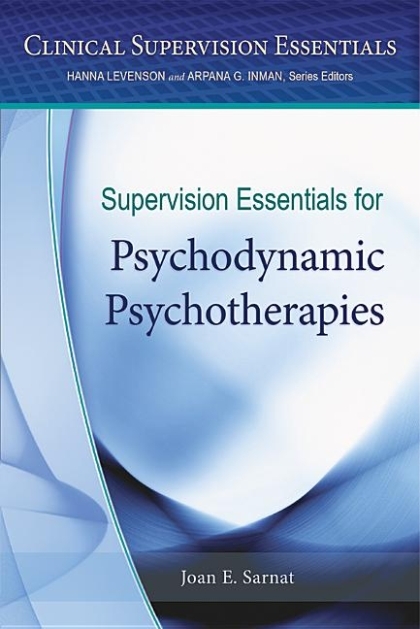 The book also includes revealing transcripts and analyses of the author's supervisory sessions with real trainees, including those documented in the author's companion DVD, Relational Psychodynamic Psychotherapy Supervision. Comprehensive yet straightforward, this guide is intended for new and longtime supervisors alike, as well as clinical supervisees seeking a conceptual and practical understanding of this essential relationship.